Blog Post List | Bill Utter Ford Inc. The Ford Transit Passenger Wagon is a passenger wagon that's big on creature comforts, especially dynamic, easy-to-use tech. We here at Bill Utter Ford Inc. love all the tech features, but here are two tech features worth a spotlight. 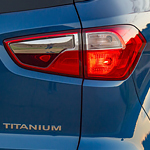 There is a new midsize SUV that is getting all the attention on the road. While many mistake the Ford Edge ST for a luxury vehicle, it’s actually a much cleaner, more powerful version that its previous modes. 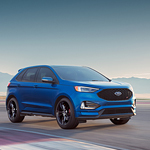 The Edge ST has all of the features that you want in a modern SUV with a technology package that includes blind spot monitoring, SYNC 3 infotainment, and tons of safety features. However, most drivers like that you can instantly accelerate with the Ford Edge ST. The Ford EcoSport that we have at Bill Utter Ford Inc. offers reliability, versatility, and safety. It's a fun, modern car that can take you anywhere in Denton or beyond. It includes several technological features that make things more convenient, which can come in handy when you're in the middle of a busy day. First, you can get your EcoSport hooked up with a SYNC 3 system. This comes with Apple CarPlay and Android Auto compatibility, voice-recognition, and an available eight-inch color LED touchscreen. When you own a truck, the bed is where you're going to be doing most of your work. Needless to say, modern trucks need to have versatile beds that make your job easier. Luckily, the Ford Super Duty has you covered. 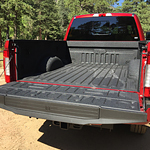 This popular heavy-duty pickup truck is available with an innovative bed that's full of great features. 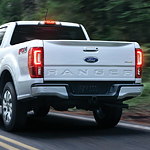 When you think of what you want in a pickup truck, many owners seldom think of style, but that new mid-size Ford Ranger gives you just that. You get great looks on the outside, plus comfort on the inside, which these days means as much as your vehicle's overall capability. Does your electric vehicle take hours to charge? Maybe it's time to upgrade to a new Ford Focus Electric. 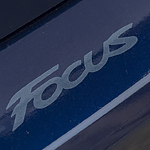 Like most Eco-friendly vehicles, the Focus produces ZERO CO2 Emissions, never needs an oil change, and requires absolutely no gas. Fortunately, that's where the similarities end. 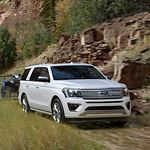 Having a full-size platform, the 2019 Ford Expedition is a premium SUV that has tremendous capabilities. Bill Utter Ford Inc. offers this vehicle in six trims for customers in Denton. Getting in and out of tight parking spaces can be tough. 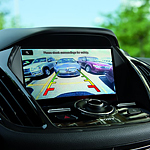 Luckily, the new Ford C-MAX has the smart technology to make it simpler. This popular compact hybrid is available at Bill Utter Ford Inc. 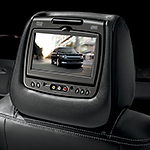 It comes with a standard rearview camera and an optional Active Park Assist system. What Convenience Features Come With the Ford Flex? When you are shopping for a mid-size SUV, it is important to us at Bill Utter Ford Inc. to keep you informed about each model that you have in mind. The Ford Flex is a popular mid-size SUV among consumers in Denton because it can seat up to seven with third-row seating. You can choose between three trims with this model that include the SE, SEL, and Limited. Let's read about its convenience features below. The Ford Mustang has sold better in North America than any other sports car in the last half-century. Up until recently, you could only get the original pony car in North America. The rest of the world was out of luck. A couple of years ago, Mustang sales went global - and the world fell in love with the pony car. With more than 150,000 sold, the Mustang was the best-selling sports car in 2016.